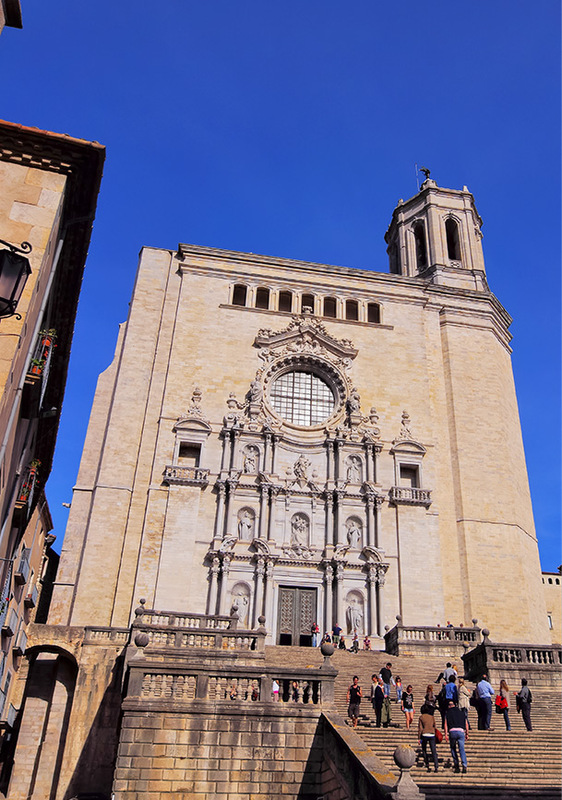 Girona is a city and a municipality in the north-east of Catalonia. It is the capital of the province of the same name and of Gironès County. The city is located at the confluence of four rivers: the Ter, the Onyar, the Güell and the Galligants, and lies at an altitude of 75 metres above sea level. The municipality of Girona borders with Sant Julià de Ramis and Sarrià de Ter in the north, Celrà in the east, Quart in the south-east, Fornells de la Selva, Vilablareix and Salt in the south-west, and Sant Gregori to the west. The city’s historic quarter is one of the most evocative in Europe and is home to some unique monuments and buildings. The area is still enclosed by the old city walls —dating back to the Carolingian period (9th century) and the late Middle Ages (14th and 15th centuries)— which can be explored from the walkway along the top (known as ‘Passeig de la Muralla’). Among the most outstanding historical features are the old Jewish quarter, which is one of the best preserved examples in Spain, as well as the famous brightly coloured houses over the River Onyar, and towering above it all, the Cathedral, with its enormous single nave — the widest Gothic nave in the world. Girona is an ancient and noble city with one of the country’s most important, if not the most important, monumental sites, of which, despite being located on the Via Augusta, which, roughly speaking, continues to be the main route into the country, its impressive, stony dignity is not as well-known as it deserves to be. In accordance with Organic Law 15/1999, I hereby authorise Fira de Girona to electronically process the data contained in this form for the purpose of sending me commercial information.